Leo Burnett Toronto's Coupon Billboard made the Cannes Outdoor Lions shortlist in the Alcoholic Drinks category. 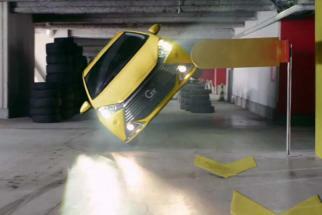 Leo Burnett Toronto helps beer drinkers do some penny-pinching in this outdoor/mobile campaign for James Ready. 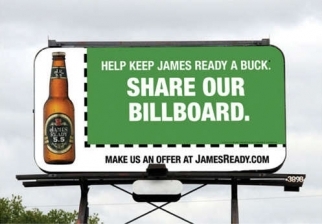 The agency erected billboard "coupons" which passersby could shoot with their mobile phones and redeem at nearby retailers, all in the name of saving up for more James Ready beer.